2017 is about to come to an end, and people around Taiwan were getting ready to celebrate on Sunday. 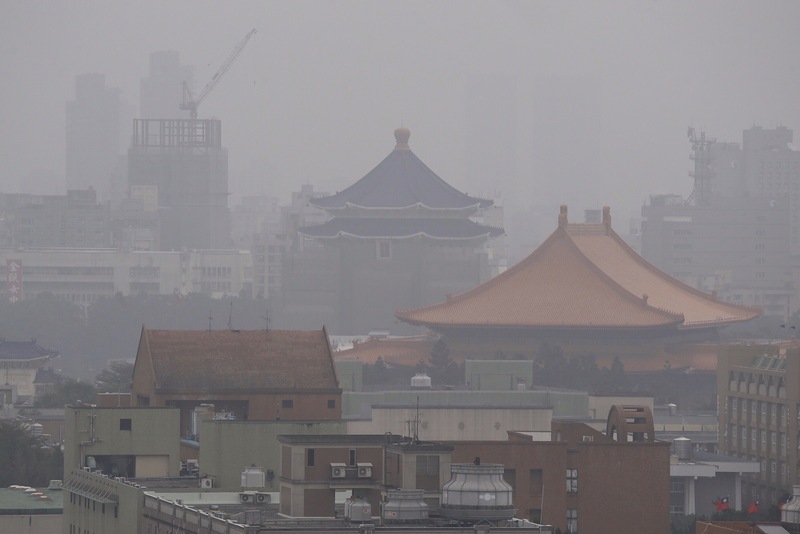 But in Taipei, and in other parts of the country, heavy air pollution marred the festive atmosphere. The Chiang Kai-shek Memorial Hall could barely be seen through the smog. 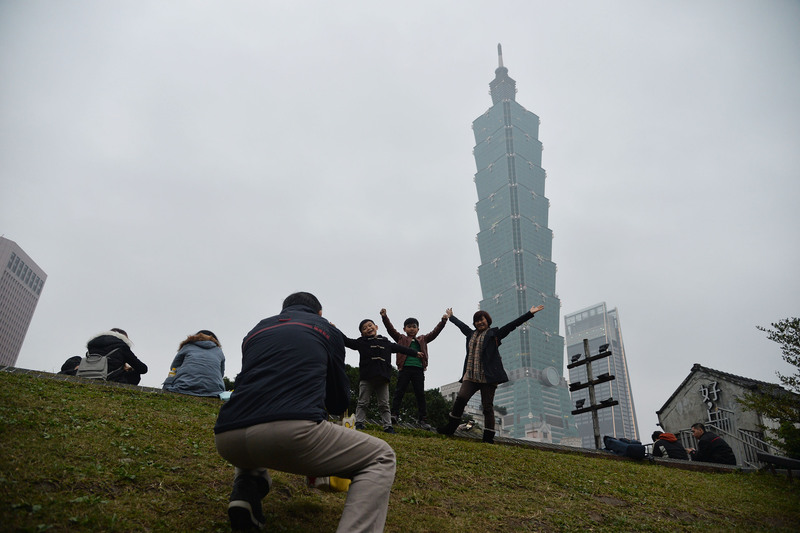 Still, people flocked to Xinyi District in Taipei where the world famous Taipei 101 fireworks were to be held at midnight, even if the air wasn't all that clear. 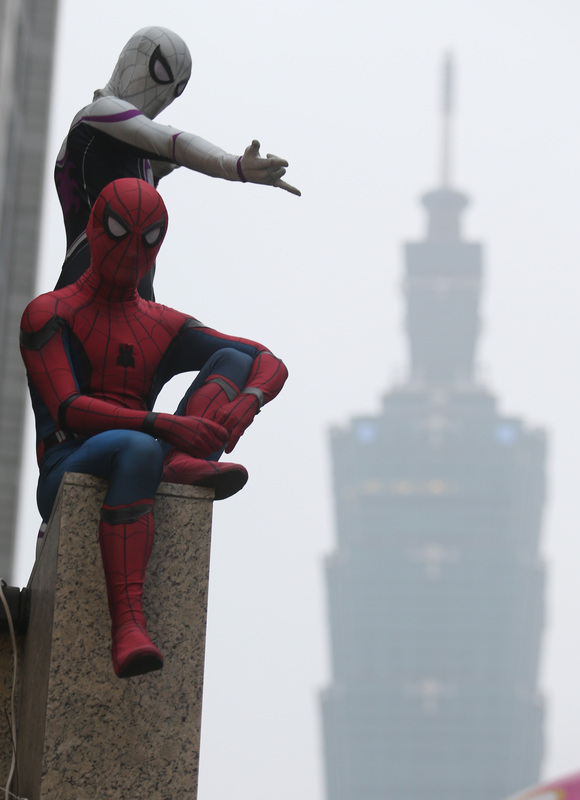 Two people dressed in Spider-man outfits were also ready for the countdown on Taipei streets. 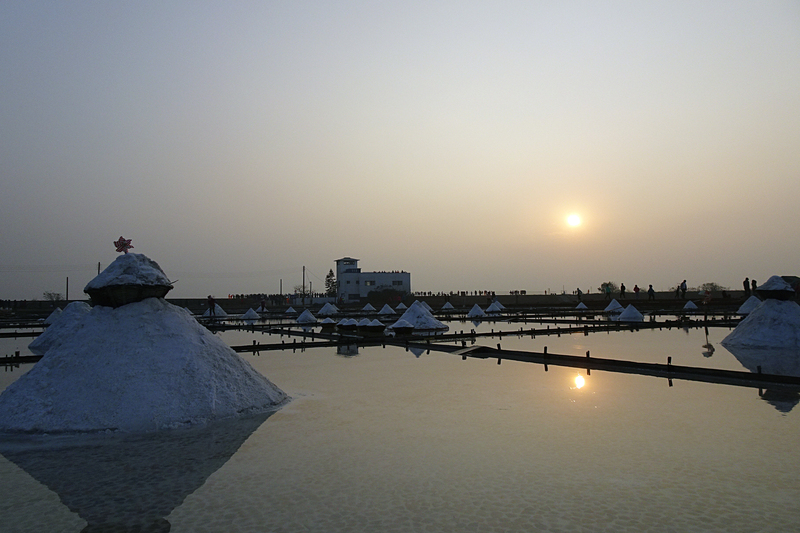 Though the air quality was also bad in Tainan in the southern part of the country, people gathered in a salt field there to enjoy the last sunset of the year. 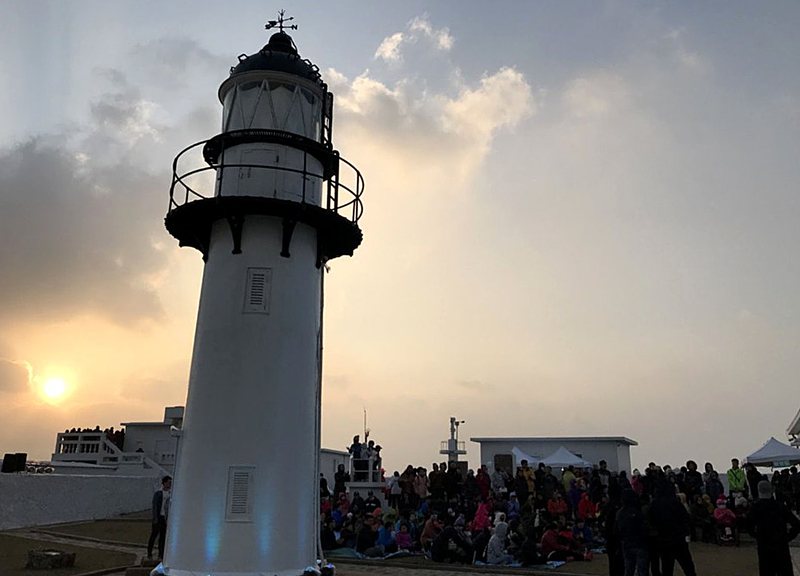 And the same was true in the outlying county of Penghu off Taiwan's southwestern coast, where poor air quality did not discourage visitors from gathering at the 11 meter high 140-year-old Yuwengdao Lighthouse to enjoy the sunset and a New Year's Eve concert.